We are standing inside the Step Pyramid complex, behind us stands the Step Pyramid and in front of us can be seen what remains of the enclosure wall that once surrounded this 37 acre complex. The mound which dominates the horizon is the pyramid of Wenis. 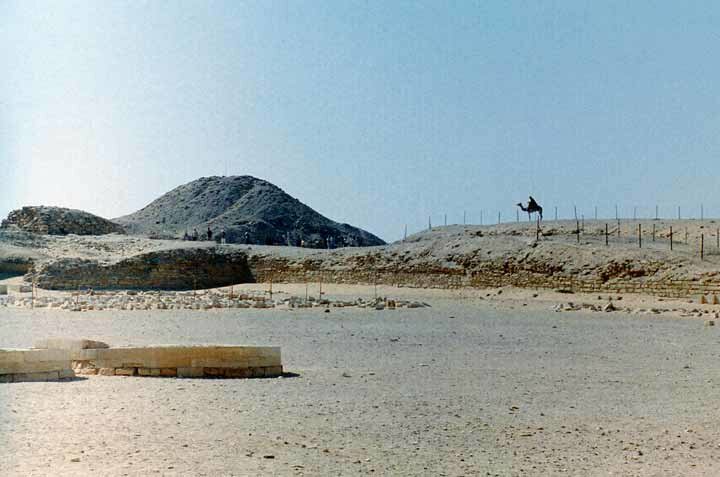 That pyramid contains the earliest known inscriptions of the Pyramid Texts.